Organised by LSE Cities at the London School of Economics and Political Science and Deutsche Bank’s Alfred Herrhausen Society, the 2013 Urban Age conference investigated the impact of large scale urban development projects on the social, economic, political and physical make-up of cities. The conference was held in the Olympic City of Rio de Janeiro in October 2013 and acted as a platform for exchange and debate amongst over 150 policy-makers, academics, urban designers, architects, and representatives of NGOs and local community groups building on the Urban Age’s network established through previous conferences held since 2005 in New York, Shanghai, Mexico City, Johannesburg, Berlin, Mumbai, São Paulo, Istanbul, Chicago, Hong Kong and London. International speakers and local representatives from Rio de Janeiro exchanged experiences on the design, governance and delivery of a number of significant projects in a range of world cities – including São Paulo, Santiago, Medellín, Bogotá, Antofogasta, Mexico City, New York, Detroit, Washington DC, Cape Town, Mumbai, Hong Kong, London, Hamburg, Barcelona and Stockholm. In addition to investigations of on-going projects in Rio surrounding the Olympics sites, the Bus Rapid Transit system and favelas improvement programme, the conference featured international projects including the Olympic Games and Legacy projects in London, Barcelona and The Netherlands; the HafenCity and IBA initiatives in Hamburg; The High-Line and East River waterfront redevelopment in New York City; the Hammersby development in Stockholm, the Transmilenio bus system and ciclovías in Bogotá, the cable-car and arts projects in Medellín as well as the Complexo Alemão, Parco Madureira, Porto Maravilha and other initiatives in Rio. 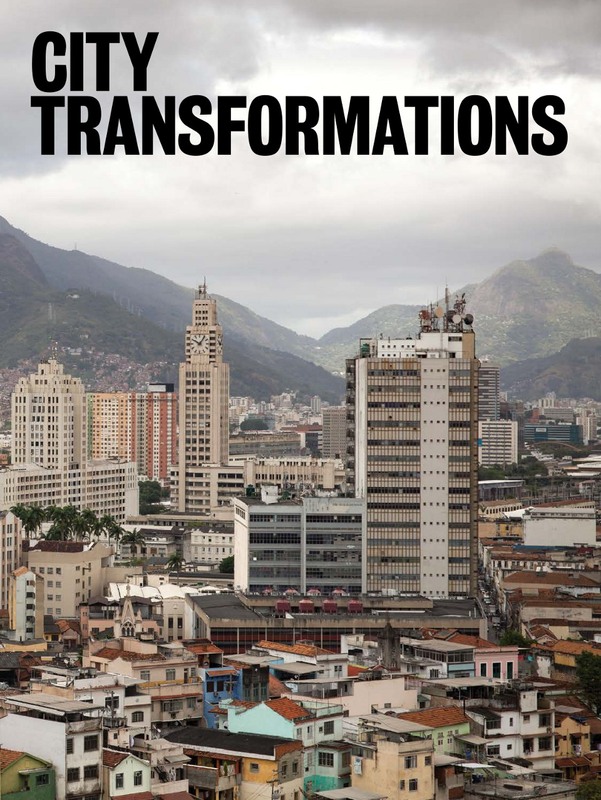 In addition, economists, planners and social commentators debated the causes for the current wave of large-scale city transformations and their impact on local communities. City mayors and policymakers reflected on the best models of ensuring sustainable urban governance. The sixth Deutsche Bank Urban Age Award was presented in Rio de Janeiro, recognising projects located in the metropolitan area of Rio de Janeiro. An independent jury drawn from an international community of urban leaders and designers as well as business, media and civic actors evaluated all submissions to determine the winners of the $100,000 prize. The winners were Plano Popular Vila Autódromo and Pontilhao Cultural. Two other projects received honourable mention: Censo Maré and Agência de Redes Para a Juventude.